The GSPre is the nerve center of a system – not only directing signals and providing attenuation, but also interpreting and deciphering complex signals to create a musical story with the drama and intrigue befitting your favorite songs. 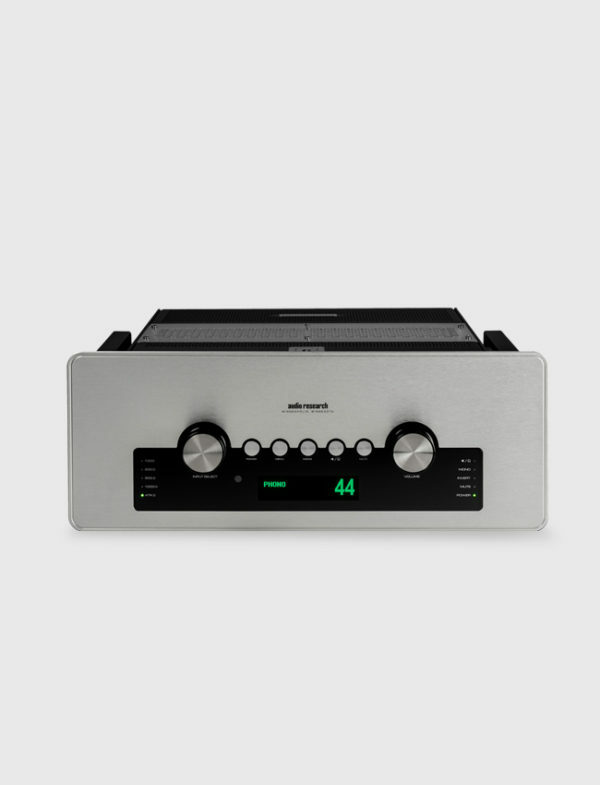 The job of a preamplifier is to do its work discretely, leaving the musical signal with as little signature as possible yet still unraveling the chapters that comprise the lyrical narratives of the source material. With decades of expertise creating some of the finest preamplifiers ever produced, the GSPre is certain to continue the legacy on which Audio Research has built its reputation. 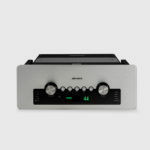 The GSPre is both a line stage and phono stage, with programmable functionality and flexibility, making it the perfect solution to adapt and grow in your system. The phono stage is no mere afterthought, but a separate, vacuum tube-powered circuit providing enough gain for a variety of phono cartridges. When listening conditions require a more personal experience, the GSPre also has a headphone amplifier capable of driving a range of headphone impedances. The front panel layout is designed to simply and clearly display all functions and information, and integrates beautifully with the rest of the chassis and the G-Series amplifier. FREQUENCY RESPONSE line: +/-.3dB 2Hz to 80kHz; : -3dB 0.8Hz to 220KHz Phono: +/- 0.1dB of RIAA 10Hz to 20KHz, +/-0.4dB 5Hz to 80KHz Headphone: +/-0.05dB 20Hz to 20KHz; : -3dB 0.8Hz to 220KHzTHD+N @ 1KHZ line: <.002% at 2V RMS, Bal output Phono: <.005% at 3V RMS output, to Record output Headphone: <.009% at 1V RMS outputGAIN @ 1KHZ line: 13.8 dB, Processor: 0dB Phono: 58dB @ 1KHz to Record output Headphone: 11.3dBNOISE (A-WEIGHTED) line: <-101dBV volume at max. Phono: <-77dBV to Record output Headphone: <-88dBV volume at max.CHANNEL SEPARATION @ 1KHZZZ line: > 75dB Balanced output Phono: >70dB to Record output Headphone: >60dBSIGNAL TO NOISE RATIO @ 1KHZ, A-WEIGHTED line: >125dB Balanced output Phono: >94dB to Record output Headphone: >110dB INPUT IMPEDANCE 150K ohms Balanced, 75K ohms SE; Phono impedance programmable (100, 200, 500, 1000 or 47K ohms w/200pf unbalanced) OUTPUT IMPEDANCE @ 1KHZ 500 ohms Balanced, 250 ohms SE; <.05 ohms Headphone SE.